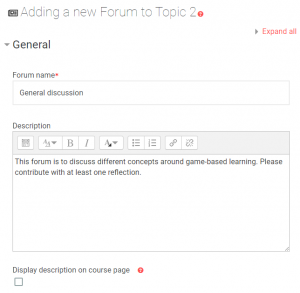 Discussion forums provide a means for students and staff to communicate as a whole class or in small groups. 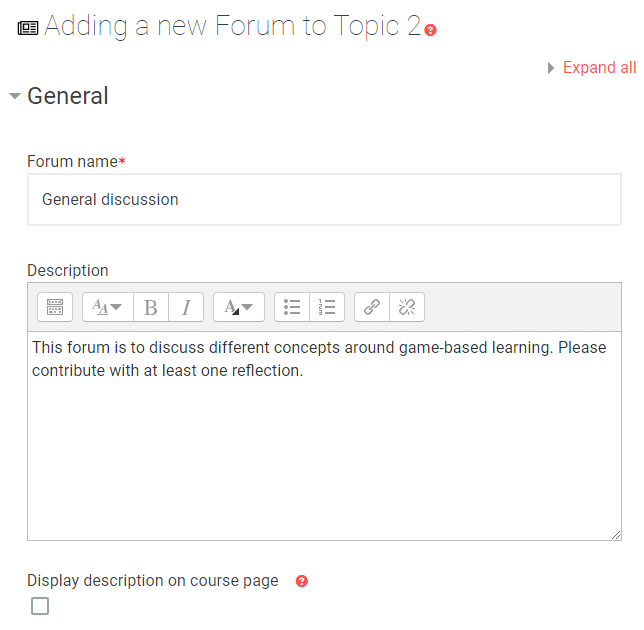 To add a new forum, Turn editing on, then click Add an activity or resource in the topic/section where you want the forum to go. Choose Forum and click Add. Give the forum a meaningful name and add a description to indicate its purpose and frequency of staff moderation, if applicable. For a general discussion, the default forum type of Standard forum for general use is usually appropriate. See other Forum types on Moodle Docs. – Optional subscription (default) – students decide to subscribe. – Forced subscription – students cannot prevent email notifications. Not recommended for general forums. – Auto subscription – students are subscribed initially but can opt out. – Subscription disabled – avoid using this. If Read tracking is set to Optional – students and staff have the option to see how may unread posts they have, providing they enable the facility. See Read tracking on Moodle Docs for more information. Use Common module settings – if this is a group activity see Create and use Groups. Once you have added a forum, it is usually good practice to add a welcome message. Click the forum link and Add a new discussion topic. 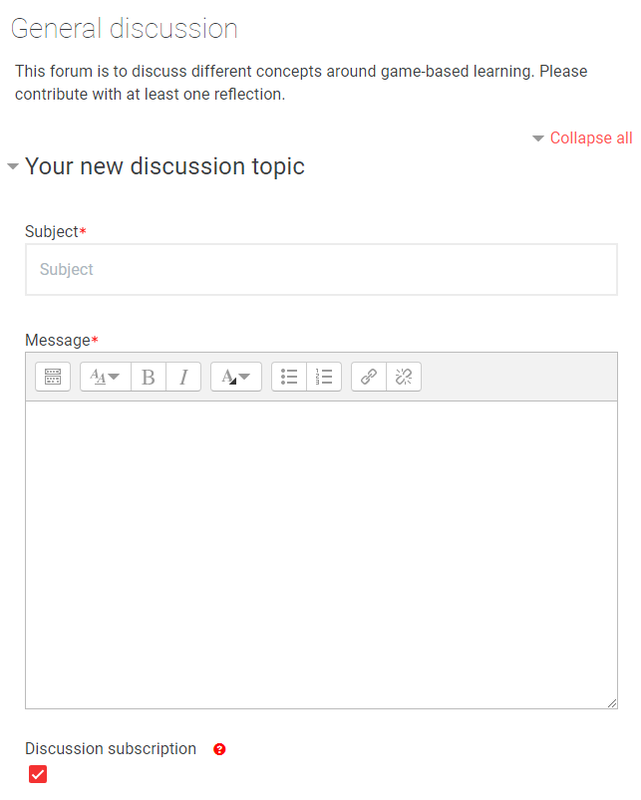 Give it a Subject, type the message and choose whether you want to be subscribed and Post to forum. 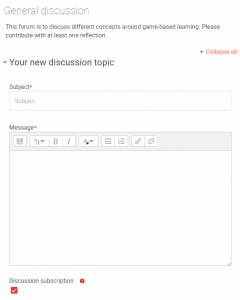 Forum posts can be edited within 30 minutes of creation. If you plan to use forums actively on your course, it is good practice to remind students of netiquette and other forms of good practice in forums. See Communicating and Collaborating in Moodle for good practice and general advice.